Machine Cutting Services offers a range of unique, portable tools for fast accurate on-site machining. The very best technology for the repair of worn or damaged equipment is available to you. 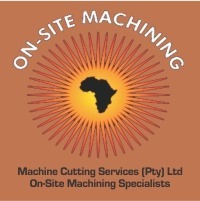 Machine Cutting Services (Pty) Ltd prides itself on its ability to be flexible, client focused and service oriented. Our focus is to supply diligent Technicians, On-Site Machine Tools and Services with the Focus on the task at hand. Management will visit your premises on occasions. Management will conduct site visits and inspections. The “hands-on” approach of management will be an extremely important contributing factor in the successful operation of the company. On-Site risk assessment to assist in conjunction with customer to ensure effective performance.